The management of business processes is receiving much attention, since it can support significant efficiency improvements in organizations. One of the most interesting problems is the representation of process models in a language that allows to perform reasoning on it. Various knowledge-based languages have been lately developed for such a task and showed to have a high potential due to the advantages of these languages with respect to traditional graph-based notations. 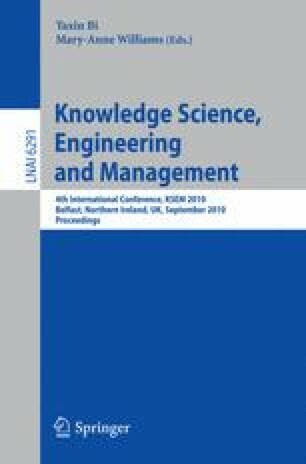 In this work we present an approach for the automatic discovery of knolwedge-based process models expressed by means of a probabilistic logic, starting from a set of process execution traces. The approach first uses the DPML (Declarative Process Model Learner) algorithm  to extract a set of integrity constraints from a collection of traces. Then, the learned constraints are translated into Markov Logic formulas and the weights of each formula are tuned using the Alchemy system. The resulting theory allows to perform probabilistic classification of traces. We tested the proposed approach on a real database of university students’ careers. The experiments show that the combination of DPML and Alchemy achieves better results than DPML alone.